The National Association of Realtors® posted on May 14th a slideshow on Economic and Market issues and outlook. The slides show home price trends increasing, and seasonal differences in pending and home sales; as well as projections of home sales into 2016. Graphs also depict declining affordability; as well as regional differences (Northeast trend is not promising). Projections of existing homes sales for 2015 and 2016 are very optimistic; and time will tell if those projections hold true. The good news (for home owners) is that average home sale prices continue to climb, as there has been 1% year over year increase for April. 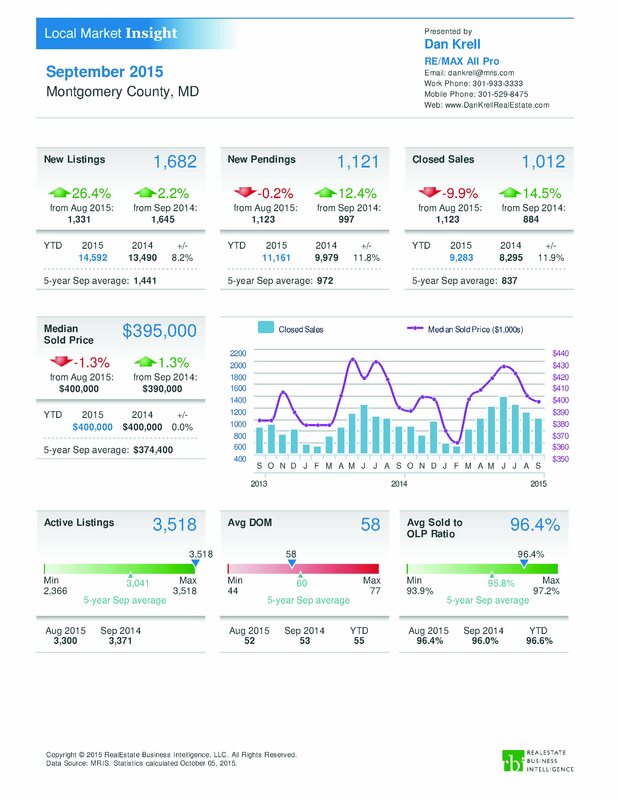 But If you’re following Montgomery County MD home sales, April 2015 sold homes increased 10% from last year, but is 2% lower from the same in 2013, and 8% lower from the same time in 2010! While pending home sales drop sharply during April, buyer activity is slowing as indicated by a falling absorption rate during April (dropping to 46% from 48% last year). 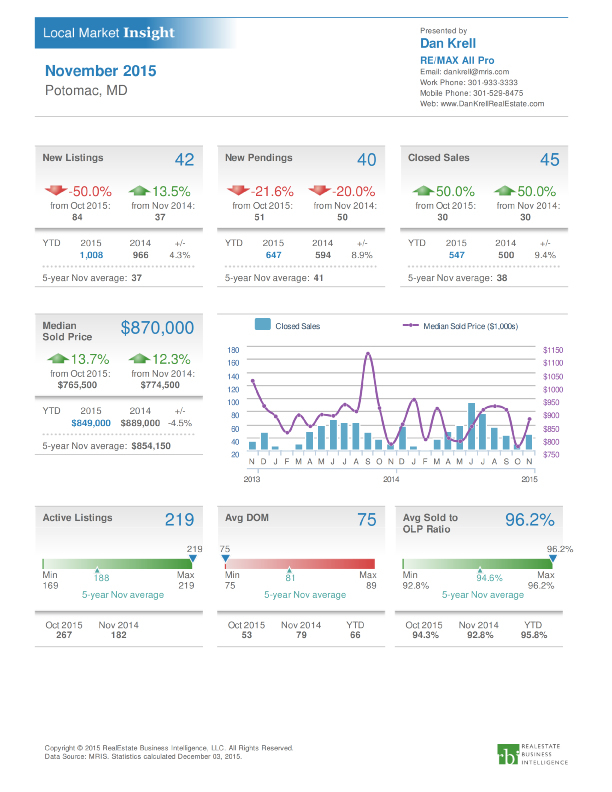 The Maryland Association of Realtors reported that home sales are reaching equilibrium as February sales increased 16.3% compared to February 2014, but average home prices fell 3.8%, according to the March 24th press release. Home absorption has increased as Home listing inventory increased 7.3%, while there has been a slight decline in months of inventory.